If you wanted to Implement Markup for Sitelinks Search Box you need to add Sitelinks Search Box in Google Search Results by setting up Schema.org Code . But you definitely need to set up markup. So, Google can redirect users to your Site's Results Page. 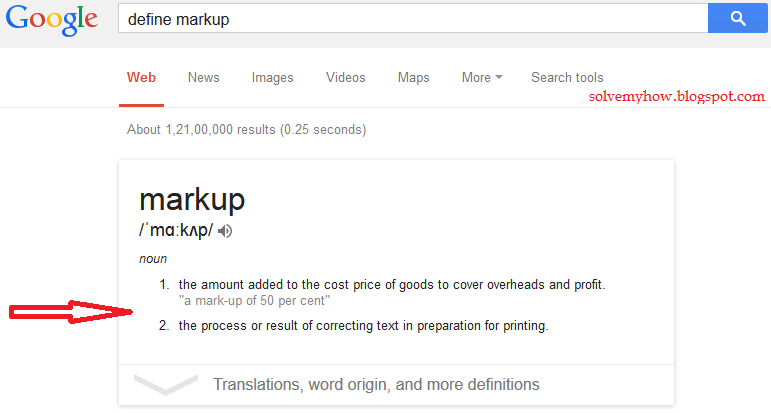 Markup :- The process or result of correcting the text. For Example :- If Google is showing the "Sitelinks Search Box" for SolveMyHow. Then, I definitely would need to set up the markup ! But for setting up the markup you should know what your site contains and for what people will search your site. So, you can add those things in the markup. So, whenever user search those two topics from Sitelinks Search Box in Google. They'll be redirected to the particular SolveMyHow's Results Page. But, If I hadn't set up the markup for SolveMyHow and if Google's Sitelinks Search Box doesn't found anything related to user's query. Then, Google will redirected user to its corresponding results page as Google is doing till now. I guess its pretty clear now, Why we setting up the markup. So, How to Implement Markup for Sitelinks Search Box ? To set up Markup, You just need to add the Java Script Code in the Site/Blog's Template after the Sitelinks Search Box's Java Script Code which we learned/added in my last Post ! 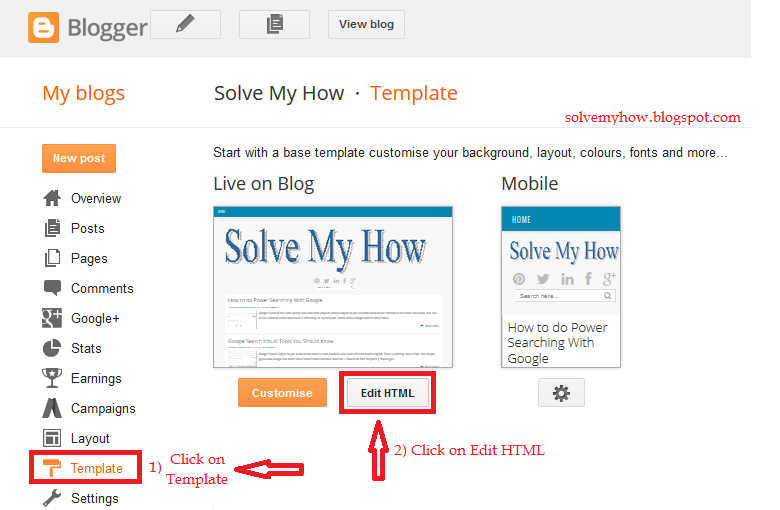 Step 1 :- Go to Blogger Template ! Go to Template >> Edit HTML. Add the Java Script Code written in step 2. Step 2 :- Add JSON-LD Markup Code from Schema.org ! Similarly, You can add your markup in the query tag !